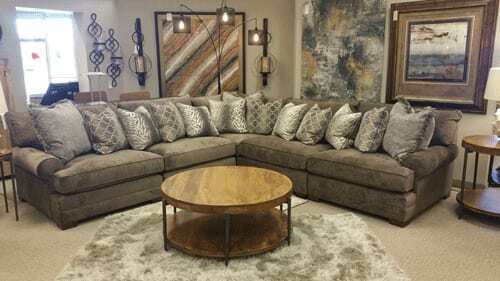 The Casbah Sectional is designed for the ultimate in deep seated comfort. Each piece is 46″ deep with 31″ of seating depth. All the pillows are filled with ultra plush down and feathers. The sectional is designed as a pit group. Just add an armless chair and the sectional can grow to fit any large room. If you like lounging and relaxing in your furniture, you will love the Casbah Sectional by King Hickory.